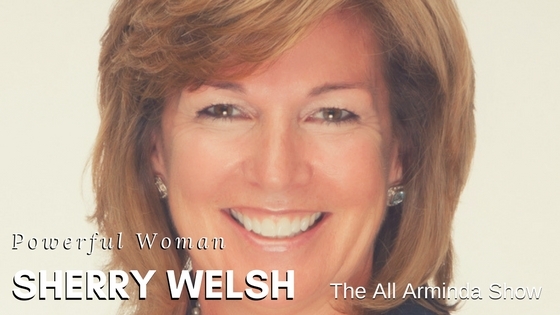 I got so much out of my conversation with Sherry Welsh, author of Slowing Down: Unexpected Ways to Thrive as a Female Leader, and leadership coach. Discussing Sherry’s Trust Model illuminated for me a powerful trifecta between integrity, transparency and communication, and seeing more clearly how loss of personal power is directly linked to lack of trust. Here are links to two additional conversations Sherry’s recorded to further illustrate How to Make the Trust Model Work for You and How to Build Trust in Your Relationships. We referenced Byron Katie’s Judge Your Neighbor worksheets we both love using and you can access them for free, as well! Thank you, Sherry, for the reminder that I am enough right now and I have everything I need to be powerful today. Sherry started out with an education in Engineering. Although she didn’t quite know what to do with it, it gave her the technical background to begin a 25 year career in manufacturing. With the introductory job in Southampton, PA, the experience she gained in that first year landed her on the path of a 20-year career with Robert Bosch, GmbH. She moved through plants, corporate offices in Germany and the U.S. and ultimately landed in Michigan where she lived for 20 years prior to landing back home in Charleston, SC. When she left Bosch, she was one of the few women who were in the executive ranks. She was lured away from Bosch to another automotive supplier to be the head of the Global Sales organization responsible for $3 Billion in Sales. Although the future seemed bright there, the great recession of 2008 came along and knocked her out of the game… temporarily. As a single mom, unemployed in Detroit, Michigan, in one of the greatest recessions of all time, the future seemed bleak. It was in that time, Sherry was able to slow down, set up a consulting practice, and use the skills she had developed over the years as a leader. In that year of consultant work, Sherry discovered her love for coaching and mentoring. Another company came along, a British Cosmetic packaging company that invited her into a 2-year stint as a Global Sales leader. Sherry worked with colleagues around the world again and loved the team she was developing and leading in Paris, Amsterdam, Brazil, New York and Chicago, to name a few locations. Working with customers like Chanel, Christian Dior, and LÓreal was a dream! But due to the nature of the location, every week she was on an airplane, at a different hotel, in a different city. Despite her love for travel, this way of life, disconnected from others, while being a single mom, was exhausting. That’s when the Institute for Professional Excellence in Coaching (iPEC) popped up on the radar! It was exactly what Sherry loved most about working with the multicultural teams she had around the world… inspiring them and coaching them to be their best! Although she no longer belongs to any one corporation, as an independent professional coach, Sherry now works with clients around the world to help them discover and bring into all aspects of their life their innate leadership abilities. She continues to travel and co-parent her incredible son… but more relaxed, with more humor, and an open mind full of possibility. Enjoy this episode of The All Arminda Show!